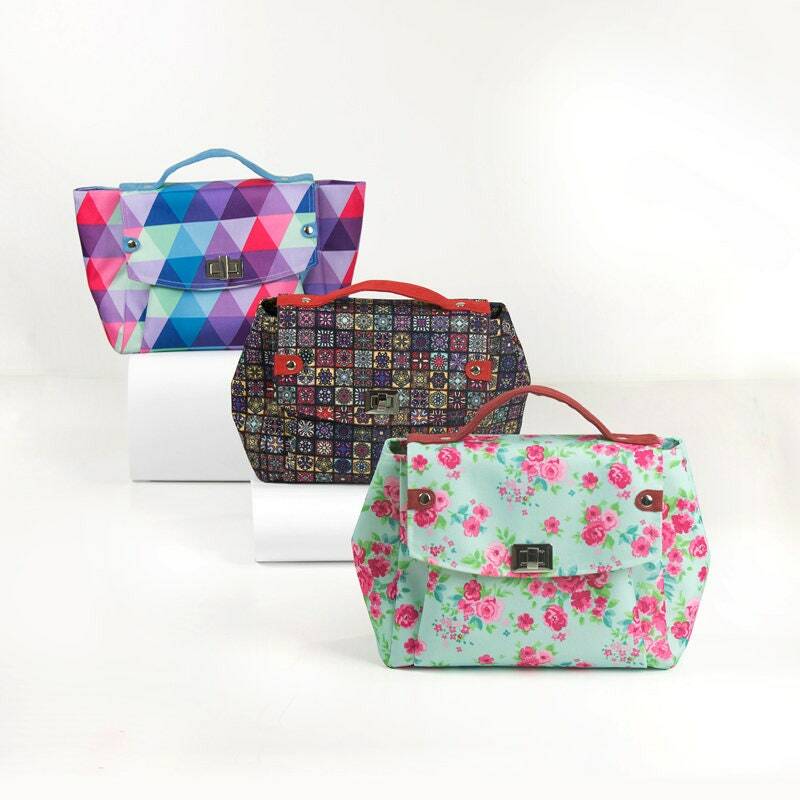 A digital sewing pattern from Bagstock to stitch this versatile bag that you can carry on your arm, shoulder, or simply with the handles. Once completed, the Rose handbag measures 12.25″ wide x 10.5″ high x 5″ deep. This sewing pattern features an exterior pocket that can be closed with a thumb or magnetic snap. Inside the Rose handbag is a spacious zippered pocket. The recessed zippered closure on top makes everything accessible yet secure. Lastly, an optional removable and adjustable shoulder strap.